Today, 23rd February 2017 is my wedding anniversary. Jon and I have been married 37 years. When we moved into our new house, my Dad bought me a car radio for Christmas and then told me he couldn’t fit it. He sent me next door as their son was always tinkering with his car in the drive. We arranged a date for him to git it and I sat in the car while he put it in. We chatted and he said he believed I wanted to go and see a Manchester United football match at the nearby Old Trafford Stadium, which I did. It was the end of January 1978. After the match, he arranged a proper date and we went into town to see The Choirboys, but when we got there, it was full and instead, we watched Clint Eastward in The Gauntlet. It took me quite a while to realise that Dad had been tinkering with cars and fitting radios for years. And of course, he engineered the football match, too. By July, I knew Jon was going propose, but I didn’t know if I was ready and was afraid of saying no. So each night he picked me up from work, as usual and parked the car outside our houses. Sometimes he just turned the radio down, other times he’d cleared his throat and looked at me and another time he actually said, I’ve got something to ask you. Each time, I panicked, remembered I had something to do and ran in the house. Eventually, we were at a party, he plied me with drinks and proposed. I said yes and we didn’t speak of it again until the following morning. He then asked if I remembered what we had spoken about and did I still want to. I realised I did. We announced our engagement the following December and were married in 1980 at the church my family had gone to when we were children. I wasn’t nervous about my wedding at all. The day before I remember walking to the shops singing: ‘I’m getting married in the morning, ding dong the bells are gonna ring.‘ I was so happy. It wasn’t till the church doors opened and I saw all my family and friends that my legs turned to jelly. I got through my vows as my bouquet visible shook and I do remember when the minister gave my husband’s full name – which all ended in a than, son, and man – hearing my five brides sniggering. A lovely wedding reception followed in a pub that burnt down some years later. As an interesting side note, I found this on the Manchester Evening New website dated April 2010. The man pictured was church secretary when I was a child and he even came with his wife to my wedding. A historic silver chalice, which vanished from a church 15 years ago, has been returned after a woman turned detective. Members of Christ Church URC in Withington, Manchester, thought precious silverware, dating back to 1828, was lost forever after it was stolen in 1993. The items were found 10 years ago, but because the church had changed its name, they were never reunited with their owners. Two items, used for Holy Communion, are engraved with the name Christ Church, Rusholme, for which they were made for in the early 19th century. The smaller plate is engraved Parrs Wood Road Congregational Church, the original name of Christ Church URC when it opened in 1928. They were all gifts to mark the 1928 opening of the URC in Parrs Wood Road in 1928, from congregations in Rusholme and Heaton Mersey, Stockport. Unknown to church members, they were found abandoned on a railway line near East Didsbury station by rail manager Russell Marshall 10 years ago. He handed them to police, who returned them to Russell three months later unaware that the church had been given a different name in the 1940s. They had been gathering dust in his attic ever since. But Russell’s sister-in-law Debbie Marshall was finally able to solve the mystery after he gave her the silver items when he moved to a new house in Wythenshawe. Debbie turned detective and found out that the name on the church inscribed on the silverware was connected to Christ Church URC. And now the cherished items have been handed back to parishioners by Debbie. The church plans to re-silver the chalice and the two plates found with it, and hold a special re-dedication ceremony so they can once again be used in Communion services. Church member Roger Smith said he ‘couldn’t believe his ears’ when he received a phone call from Debbie saying she had found them. Pharmacy worker Debbie, 40, who lives in Altrincham with husband Adam, went to the church to present the silver to parishioners. She said: “One gentleman had tears in his eyes when he saw the chalice and plates again after all these years. There were lots of activities and I was in the church play and concert. There was a youth club, girl guides, social evenings, jumble sales and Rose Queens all held in the church hall. It was the most stable few years of my childhood and I have stories and memories from those days which I may one day share. This picture shows me (on the right) as a Lady In Waiting to the Rose Queen. I was 15 years old, I’d just got a boyfriend who rode a motor bike and was so embarrassed when my Mum made me do this! I don’t think I ever told him! Three years later my little sister was the Rose Bud Queen and it was a big family occasion as we all attended. Babara is a gifted author herself. Her books can be found here I know Barbara is a gifted writer because I have read two of her books and you can see them featured on Karen’s Book Blog – Dark Lycan and Angel Mine. Courage will be tested, love will be forgiven and death will be faced in this magical romantic fantasy. The nurse woke me when my heart monitor slowed again. One good thing about this “home for the geriatricly re-enabled” is the nurses. They ensure we don’t die in our sleep, mostly. Some of my fellow inmates hate that. I’d rather go out on my feet. I write in this journal every day; always with my favorite pen. Today it is working in fits, only half of each letter showing up. Those halves are ghostly, semi-transparent. It makes me wonder who stole it. Someone is always stealing it. I wish my pulse would race. In anger it should, so why does it continue so slowly? Calm is good for one thing though, reminiscing. When I was a child the letters were big and blocky but the ink was strong and black. Nobody stole my pen then. Only I saw how great it was. The trouble started when I was a teen. The ink still ran the color of sin, a thing all teenagers know intimately, but it was no longer always mine. My teachers borrowed it for reports and permission slips. My parents absconded with it to write notes and lectures for me. I always knew where my ink flowed though, and the thefts made my heart run double time. Then came marriage, when the preacher and the government stole it for the license. The ink faded a little then. My wife kept borrowing it for grocery lists, signing bills, and documents she assured me were important. At the same time, my boss kept taking it for the reports and services he insisted I perform. The stress of always worrying about my pen brought gray into my hair and painted lines on my face. When the children came they started taking it when I wasn’t looking. They did all of the same things I did at their ages. Of course my wife and boss continued stealing it too. I noticed a fading of the ink. These same children that put me in this hole used most of my ink, stole it the most. The anger grew so dull and constant that I barely noticed it. Now, in this forsaken place, the doctors and nurses keep stealing it for reasons I rarely remember. At times I hardly notice. The other residents take it to keep score at games that don’t matter to me. The kids barely visit, but when they do they have their hands all over my most prized possession. There are always more forms to sign, more work to do. The will must be in order. They can’t wait to get out of here, but they don’t mind stealing my pen. I noticed the last sentence has no color at all. I don’t know who stole my pen, but less than half the words written with it were scribbled by me. Instead of scratching out more blank space I think I will close my eyes, clutching my pen to my chest. We’re both tired. Yesterday I talked about the great Brain2BooksCycon that is happening in April and today I’m going to tell you another way to find new books, new writers and a chance to chat to Indie authors. Like the B2Bcycon, you can come along and browse. Authors will show you their books, give you teasers and book trailers and sometimes excerpts. You can sit quietly back in your chair and just watch. Or you can join in, especially when they have quizzes and competitions and just for fun things to do. Again, as I mentioned, it is easy to forget the date, so all you need to do is pop along now and press the going button. When the day arrives, it will pop up in your newsfeed and you can sit back relax and watch. It’s that simple and a lot of fun. I’m telling you this because I’m at all three events over the next few days, some of them are starting today and when you go you will be able to see the author line up. So it is the perfect opportunity for Magic of Stories to introduce you to some more magical stories and as a reader, I love these events. This is on from the 11th to 13th February. This event celebrates the release of Siren Song, the 4th in the series of the undead unit by Markie Madden. I’ve read and reviewed this detective series with a difference. Fang and Claw is the first book and Souls of the Reaper is the second, I will in time read the third and this the fourth, and present them on Karen’s Book Buzz Blog. This event finishes on the 14th, but like all events, it stays there so you can go back anytime to view it. 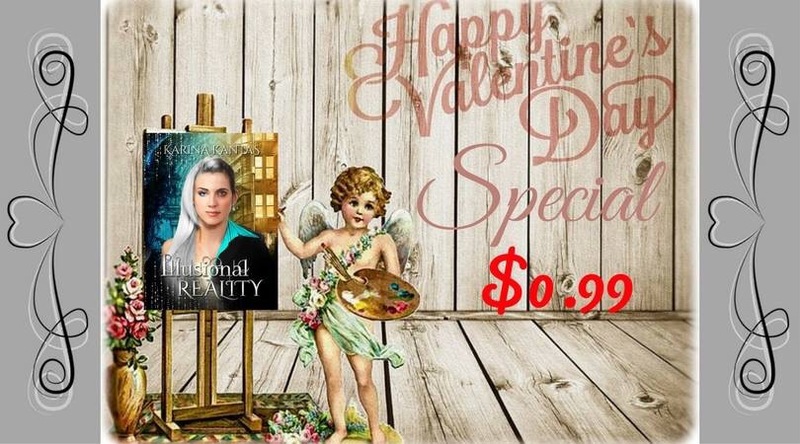 This one was planned because many authors believe their work, that takes a lot of time to produce, should not be given away from free and makes it worthless. This event is trying to show that readers will still support an author, buy a book and not expect to be given it for nothing. I made a video to accompany this event and it will still stand today. The event is on from the 11th – 15th February and your support will be gratefully appreciated. 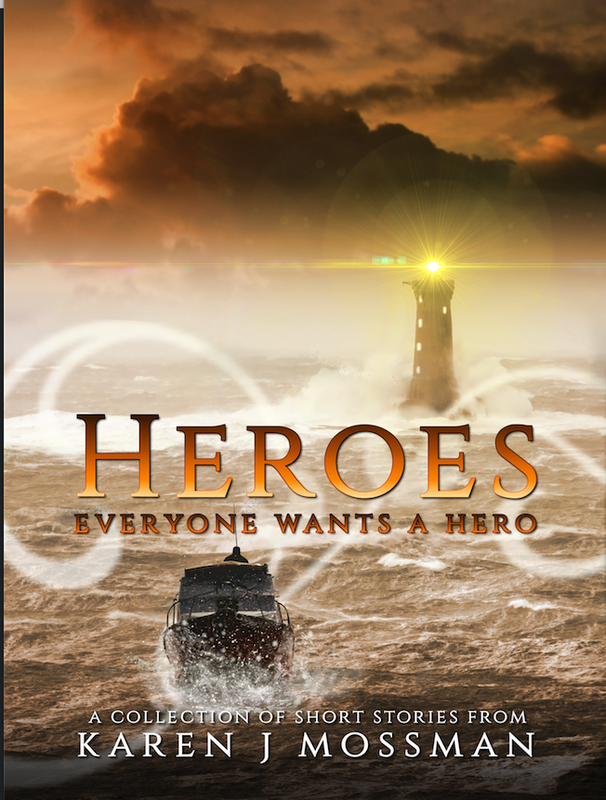 I have 3 themed short story collections and Heroes is one of them. In this video, I talk about the book and read one of the shorter stories from it. It doesn’t come naturally to me being in front of the camera and listening back was hard. We all tend to be our own worst critic and my sister assured me I came across ok. I didn’t know what I was going to chat about when I started, so it really was just off the cuff. Part way through I decided to talk about the stories and where the inspiration came from. For some reason, I started at the second story and made my way down. Crossing Serbia is the first story in the book and the longest. I wanted romance and adventure and I think this one would make a great novel, what do you think? All my books are available to buy on Amazon or in The Magic of Stories shop.